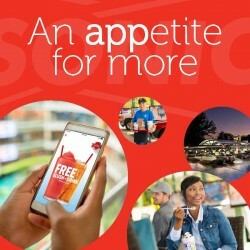 Founded in 1953 in Shawnee, Oklahoma, Sonic today franchises and operates the largest chain of drive-in restaurants in the country, with almost 3,600 Sonic Drive-Ins from coast to coast. 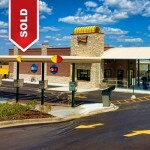 Customers also enjoy drive-thru service and patio dining at many Sonic locations. 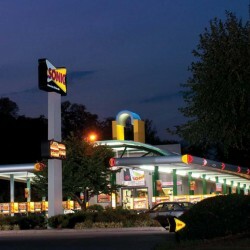 Sonic’s signature food items include specialty drinks (such as cherry limeades and slushes), ice cream desserts, made-to-order cheeseburgers, chicken entrees ranging from sandwiches to boneless wings, a variety of hot dogs including six-inch premium beef hot dogs and footlong quarter-pound coneys, hand-made onion rings and tots. Sonic Drive-Ins also offer breakfast items that include a variety of breakfast burritos and serve the full menu all day. gives away enough mints to reach the top of the Empire State Building and back to the ground…5000 times.